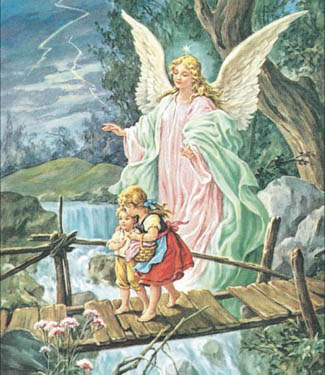 Let angels guard you on the way home with this inspirational 500 piece puzzle. Finished puzzle measure 15.5"x18", so make sure your frame is big enough. This puzzle is Eco-Friendly and printed with Soy-Based Inks on Recycled Board. Proudly made in the USA.